My background is in Fine Art and design. 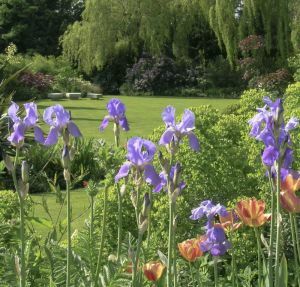 I have qualifications in garden design and landscape architecture, and nearly 20 years' experience of designing gardens in the UK and abroad. My understanding of space, form and plants enables me to create gardens of lasting enjoyment. Your preferences are paramount. Ideas are evolved through detailed discussions, resulting in a garden uniquely appropriate to you. Strong, clear and balanced designs relate to your house, whether period or modern, and its natural setting. Designs are completed by carefully conceived planting and detailing. I am a Fellow and Registered Member of the Society of Garden Designers, the UK's professional body for garden design. Design by NoviceNet © 2019 Sarah Massey. All rights reserved.